Ahead of his first visit to Israel as president next Wednesday, Barack Obama was interviewed Wednesday by Israel’s Channel 2. The interview at the White House, with news anchor Yonit Levy, was screened on Thursday. “You can’t just slip out and interact with people without having a bunch of guys with machine-guns” hanging out with you…. Ventures Levy: There must be some compensations? Levy pushes on the Obama-Netanyahu relationship. “The bottom line is that Israel’s security is going to be at the forefront.” It’s not a factor of who’s president or prime minister. Levy asks about some Israelis’ negative perceptions of him. “Resolving the Palestinian issue is good” for Israel’s security. If it can be resolved, he stresses…. “My cabinet is prepared for a whole range of contingencies.” Kerry and Hagel “share my fundamental view” on a nuclear Iran as a threat to US interest…. What took you so long to come? Well, we’ve had some crises in the United States…. It’s a chance to connect with the Israeli people. The bonds.. are so strong. Shared values. Shared families… Unshakeable commitment… and a shared vision… I’m really looking forward to it. We think that it would take over a year or so for Iran to actually develop a nuclear weapon but obviously we don’t want to cut it too close. So when I am consulting with Bibi… my message to him will be the same as before: If we can resolve it diplomatically, that’s a more lasting solution. When I say that all options are on the table, all options are on the table…. 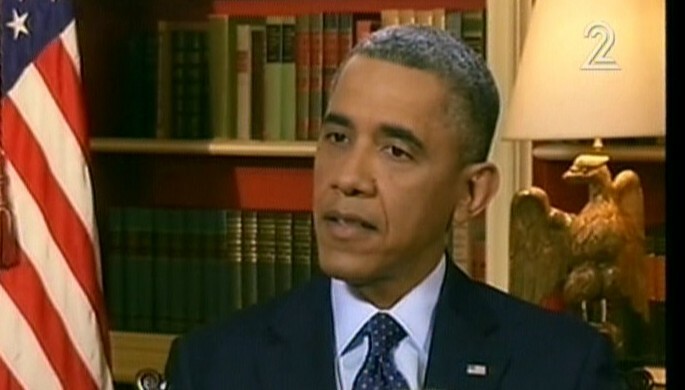 Obama: We think that it would take over a year or so for Iran to actually develop a nuclear weapon. And: I have no plans for releasing Jonathan Pollard immediately…. The Chief Rabbinate issued a statement, Thursday, in which it expressed its confidence in newly-elected Pope Francis to maintain the philo-Semitic trends of his immediate predecessors. Netanyahu says preserving Foreign, Defense portfolios a victory; Lapid, Bennett holding up coalition deal over deputy PM row. Likud Beytenu succeeded in retaining the most important portfolios for itself in coalition negotiations, Prime Minister Binyamin Netanyahu said Thursday as he neared signing a final agreement on the next government.